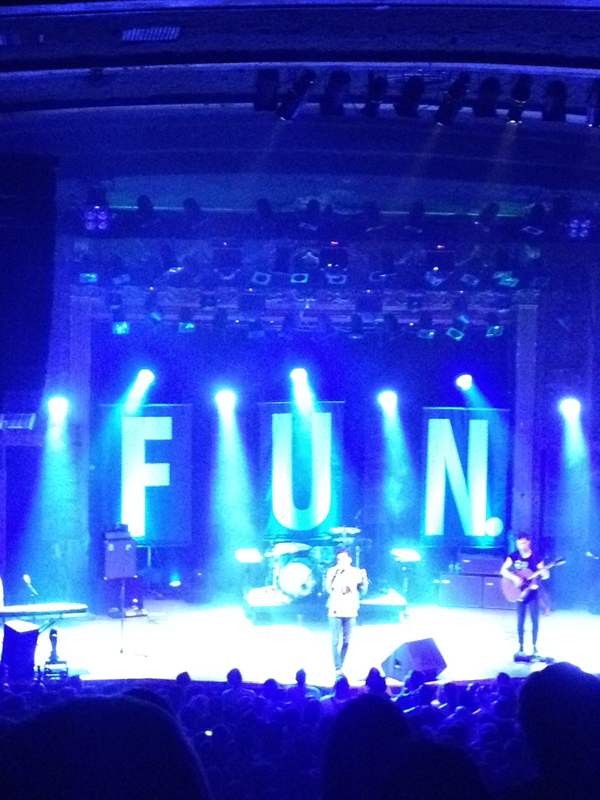 Thursday night, Kevin and I went to see the band FUN. 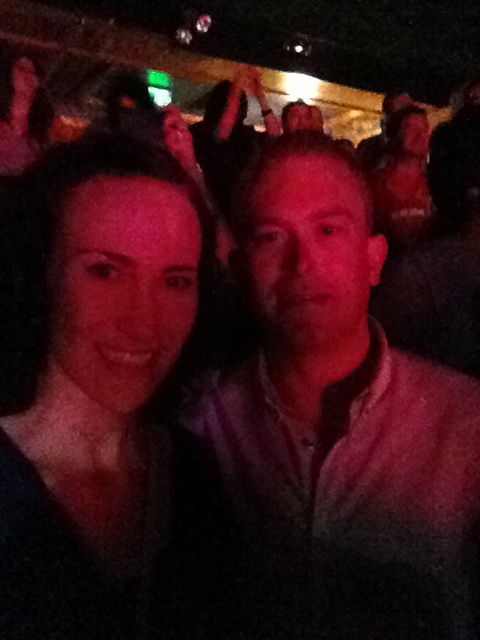 at the Ogden. It was, well, fun. After, we went to the Satire and had a few beers. I love the conversations that you can have with random strangers in bars. I really do. We met a nice guy and chatted about everything and life for the better part of the night. Since I’m dumping out phone photos, here’s one of my favorite of Carlos last week. 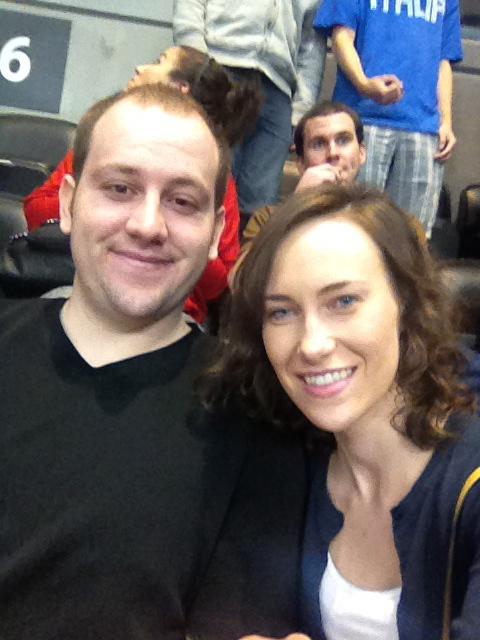 Friday night, Mike and I went to the Nuggets game for his birthday. We sat club level, ordered food and beer, and had a great time! I need to go to more basketball games with Mike. I like how he knows so much about each of the players and is more than willing to educate me. 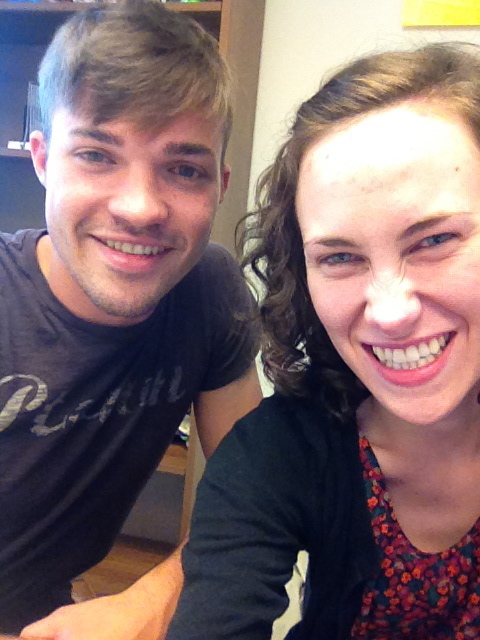 Jacob is working at my work now! He’s temporary and semi-part time. He likes that it’s such a fluid job and I like having some help. Here’s hoping that it continues to work out well for both of us! Saturday also brought Easter brunch with another of my favorite families. 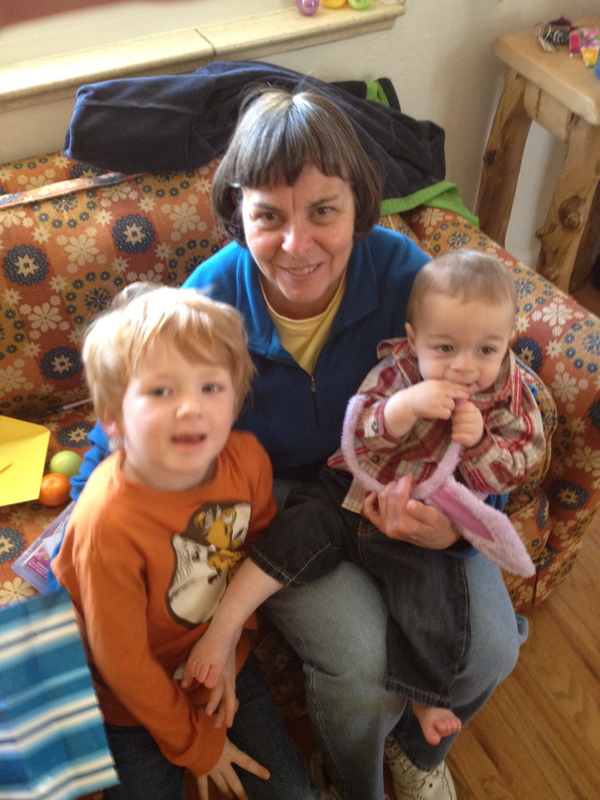 This is one of the best pictures of Aunt Sally, with our small friends. G made us all be quiet at the table and then say “Happy Easter!” all at once. The kids were so happy with the Easter egg hunt that we went to at the local park. All of the kids were excited; it was adorable. This little guy was the best. He couldn’t have been more than 20 months, and he was so excited to pick up that one egg that he’d selected. 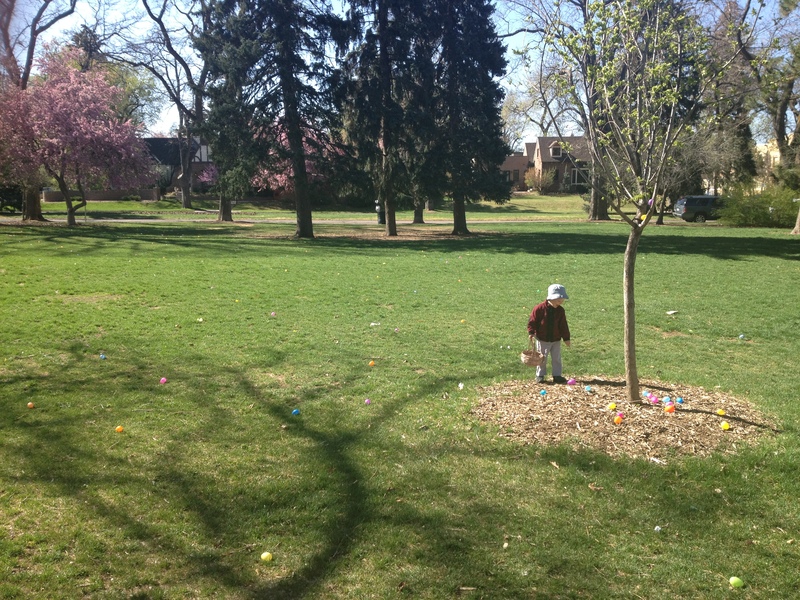 He didn’t want to go with the 1-3 year olds, but instead, stopped right there and waited very patiently (if not also very stubbornly) for the 3-6 year old egg hunt to begin. 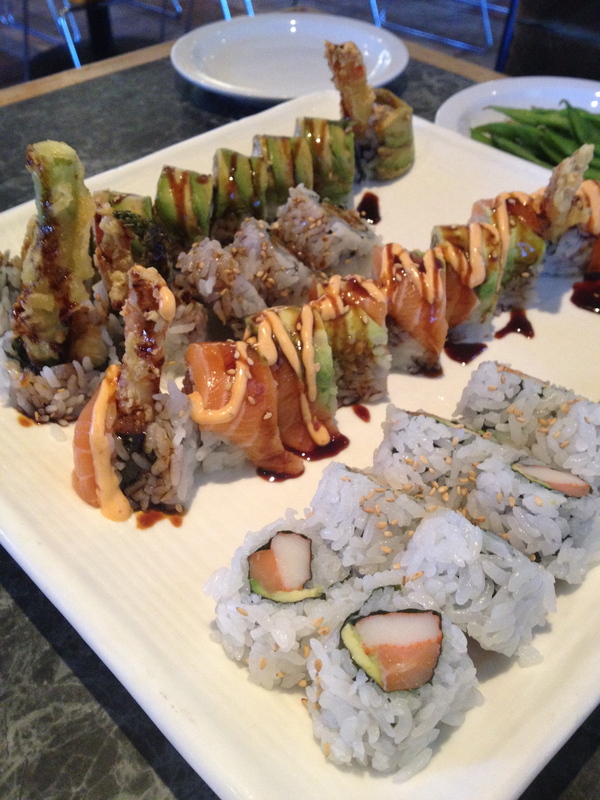 I had sushi with Heidi on Saturday. It was absolutely delicious. I need to learn how to make my own, I think. (Put it on my bucket list, please.) To think, just a year and a half ago, I wouldn’t eat sushi if you paid me. Now I can’t get enough. But I still won’t eat cooked fish (unless it’s shrimp). It’s all too seafood-y for me. A very messy (and time consuming!) 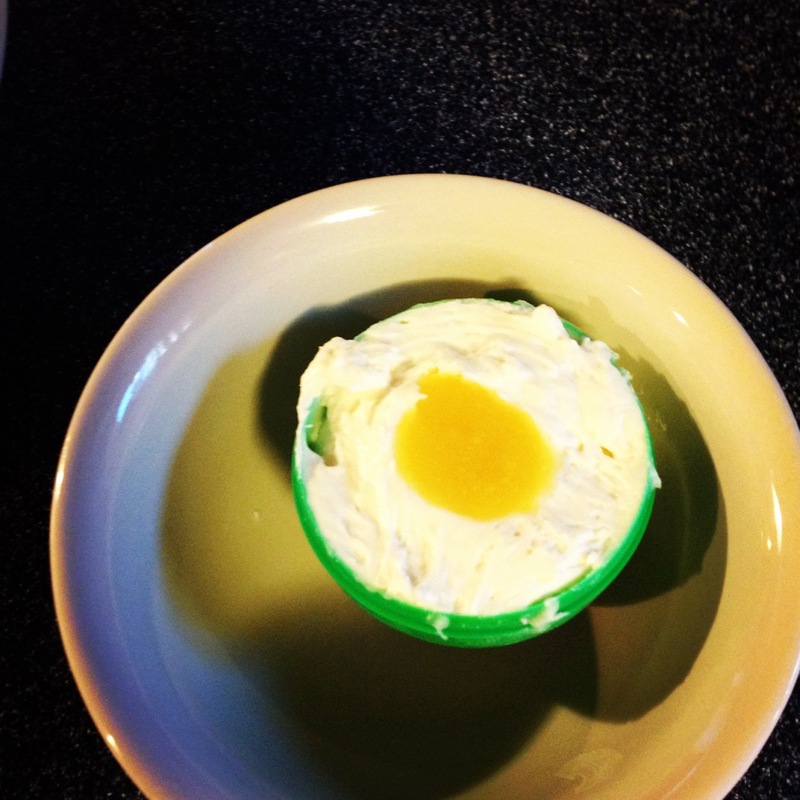 process for making my cheesecake eggs! 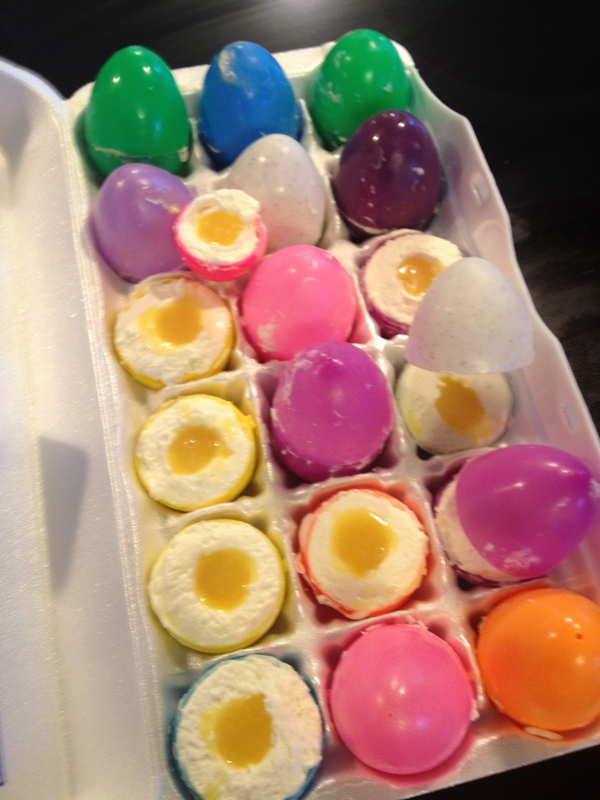 My white chocolate-cheesecake-fruit filled Easter eggs. 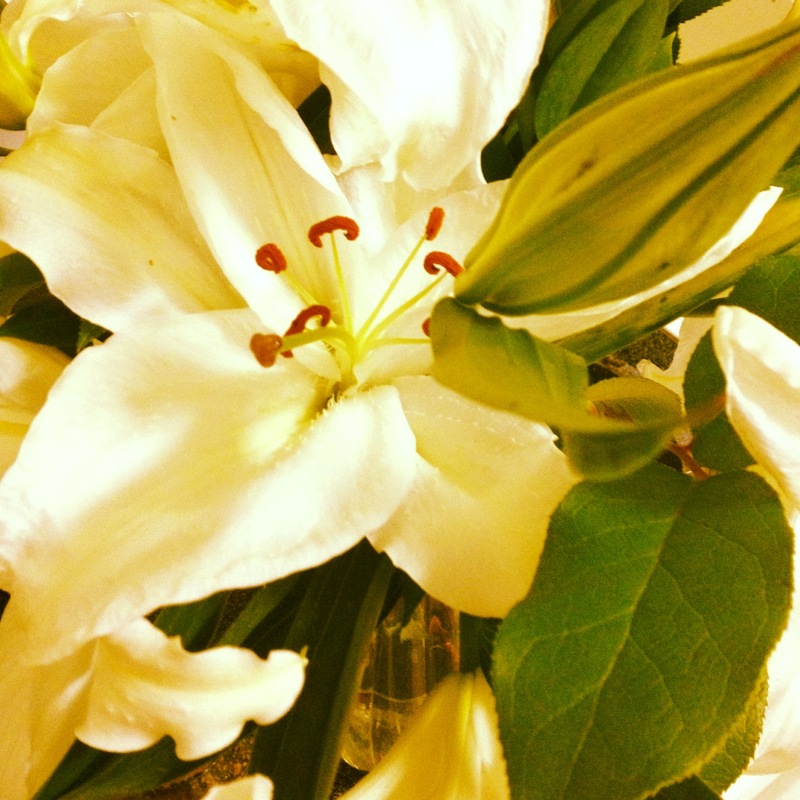 Easter lilies – they’ve been brightening up my room for the past couple of weeks and I absolutely love them. Too bad we can’t have them all year-round. 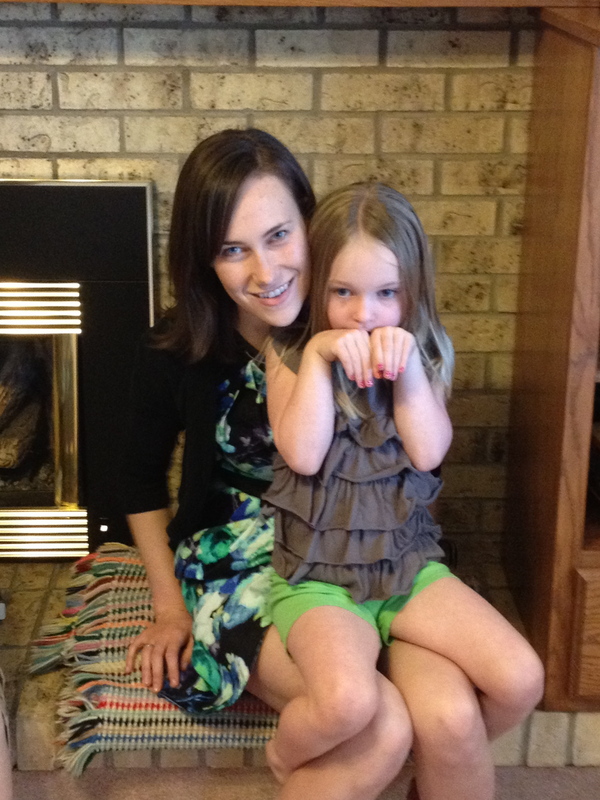 My neighbor and I being Easter bunnies! I love her. 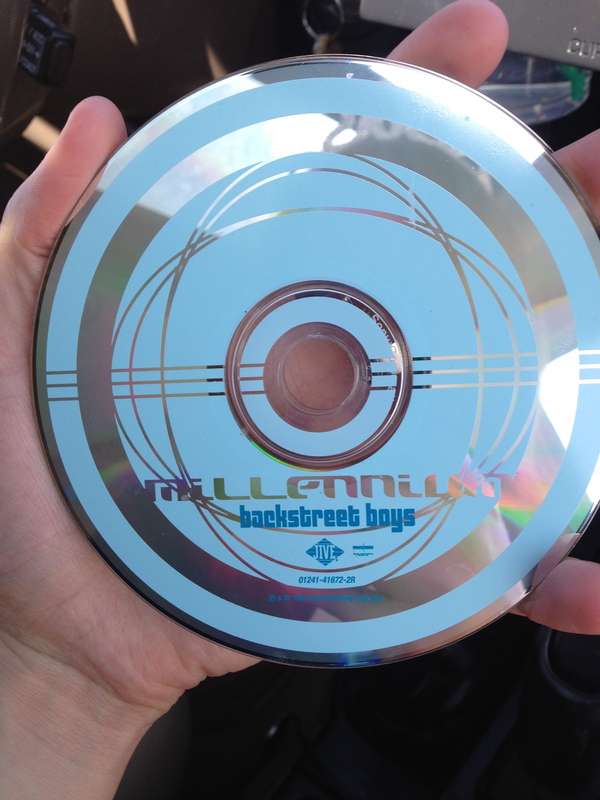 My dad gave me back a CD that he found. It was mine back in 2000. We put it in while we were driving back home. Even though the music isn’t exactly art, it brings back memories of awkward junior high dances and TRL (Total Request Live, that show on MTV that was hosted by Carson Daly that everyone loved). Even better, my 12-year old self still knew all the words! Mostly, I just love the dress. 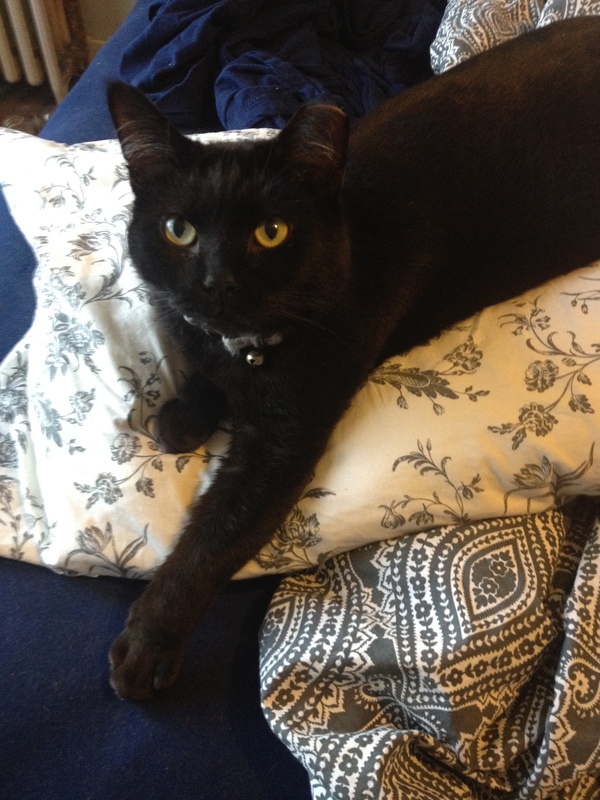 and Carlos, who was none too happy to be posing for pictures. 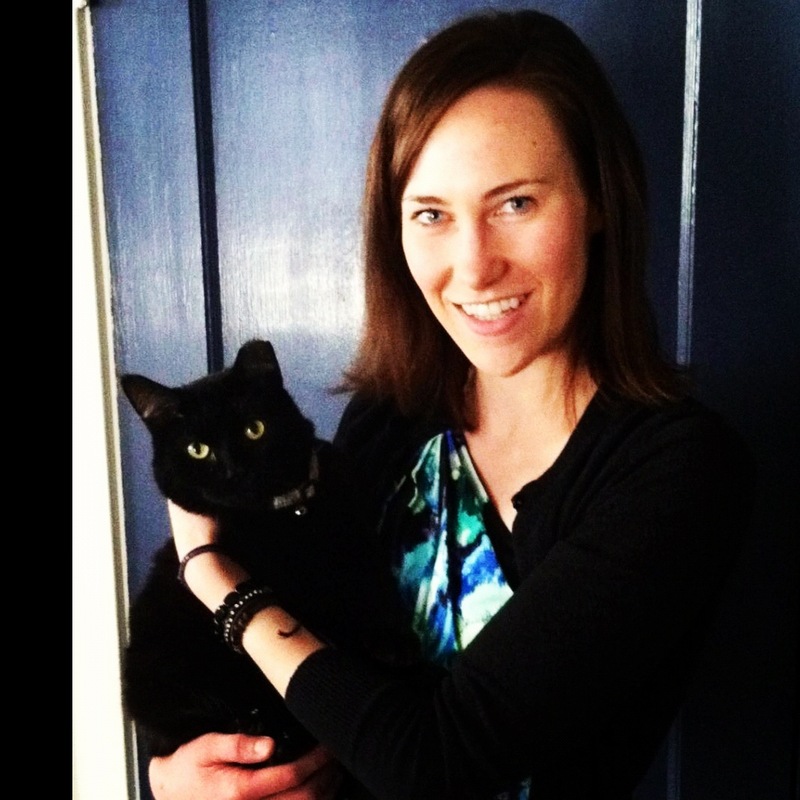 This entry was posted in adventure, cat, family, holidays, Uncategorized by kb. Bookmark the permalink.